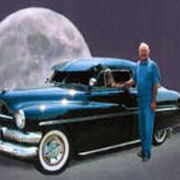 Lester collects and restores antique cars. He buys them and fixes them up himself. He has owned at least 42 vehicles since 1948 when his Dad bought him his first car. He restored a couple of travel trailers. 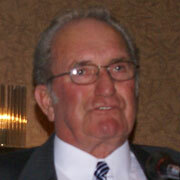 He was the first Pennfield Region director for the New Brunswick Antique Autos Club. He served from Oct. 1966 – Oct. 1968. In 2001 he and his wife, Millie, became life members. In 1997 they organized their first Old Iron and Antique Car Show. This continued until 2006. 1965 Lester and fellow antique car enthusiast, Peter Stewart, were the first to open the Pennfield Drag Strip. In 1967, Lester in his 1926 Model T and Stewart in his 1930 Model A organized a group of antique cars and drivers to attend the Centennial Year Celebrations in Fredericton. In 2000 Lester participated in the 2000 Millenium Cross Canada tour with his 1954 (honeymoon) Murcury, towing a 1952 Snapping Turtle trailor (a distance of 14,049 miles over 2½ months). Over the past 40 years, Lester has been involved in Car Shows throughout the Maritimes and Maine. He and his wife still host Annual meetings and Bar-B-Q’s for the Passamaquoddy Region NBAAC.